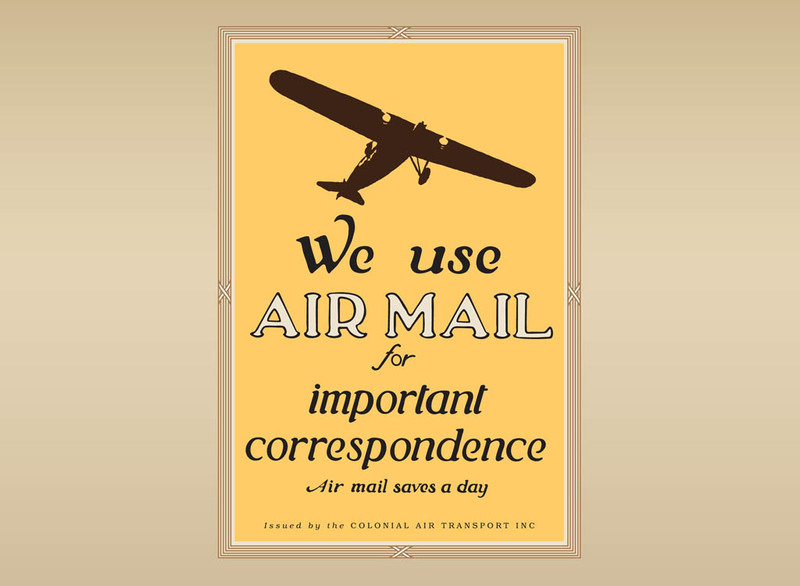 Vintage vector visual with plane silhouette graphics and air mail promotion text: "Air mail, save a day” and “We use air mail for important correspondence”. The poster is designed in the style of the good old days, with retro colors and typography. Download this air mail vector for your transportation, mail services, shipment and flying designs. Tags: Air Mail, Airplane, Flight, Letter, Mailing, Retro, Sending, Shipment.